For many designers, Photoshop is the number one tool for editing images, but for many other designers, Photoshop is an expensive, bloated, and inefficient tool. In the last few years, the number of apps coming to market and taking a bite out of Photoshop’s fanbase has grown. Photoshop has so many built-in features that few apps can match them all. But few designers need them all. The key to finding a good alternative to Photoshop is finding an app that matches what you want to use Photoshop for. Today, we’re going to look at the best alternatives to Photoshop for 2019, for a variety of purposes. If you haven’t thought about switching tools for a while, then you might be surprised by what’s available. 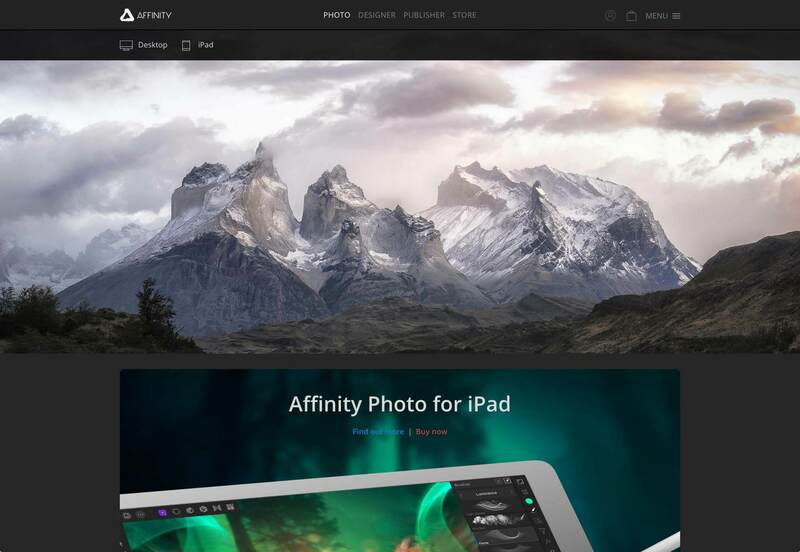 Affinity Photo is one of the highest rated image editing apps on the market. Its UI will be familiar to anyone who’s used Photoshop in the past, but it is much faster. In fact, Affinity Photo is so performant that designers who are used to Photoshop often report missing the changes that are applied to the artwork, because they expected to see a progress bar ticking across the screen. 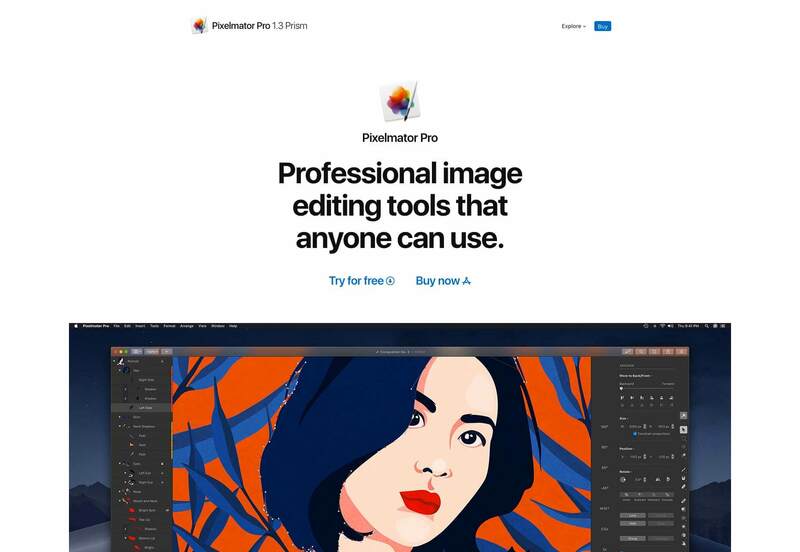 Affinity Photo is the professional’s choice of image editor. If you’re currently using Photoshop to edit photos, then Affinity Photo is the streamlined, full-featured app that you’re looking for. The best known, and original challenger for Photoshop’s crown is Sketch. 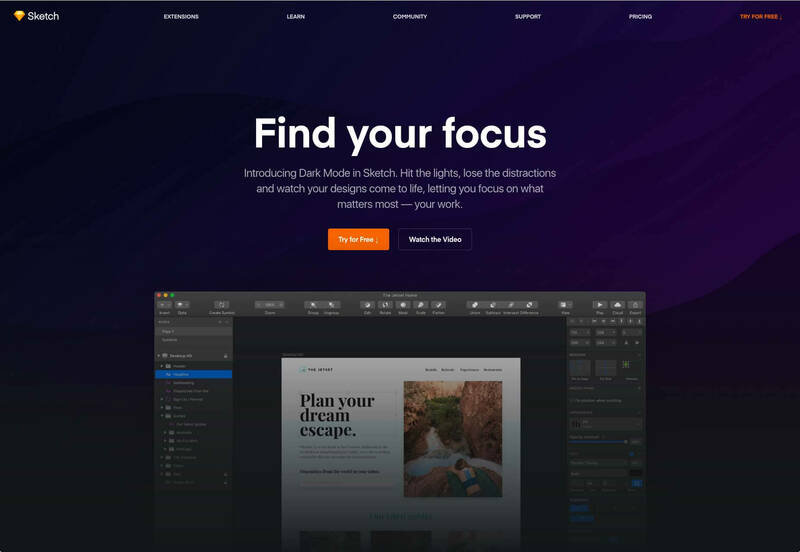 Despite not being aimed at photo editing, Sketch has absorbed thousands of ex-Photoshoppers by focusing on user interface design tools. If you’re using Photoshop to design layouts, then Sketch is the Photoshop alternative you’re looking for. On the other hand, if you’re keen on pushing pixels around, then Sketch might not be for you. Sketch is for designers working with vectors, but if you’re able to restrict your editing to basic actions like adjusting hues, saturation, brightness, or scale, then Sketch could be a good choice. With so many Photoshop alternatives focusing on design, it’s a relief to uncover an application that’s aimed at editing photos. 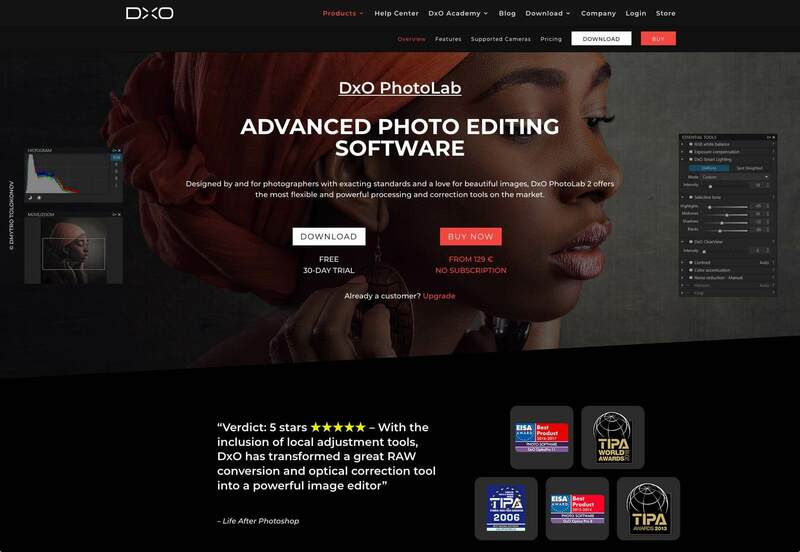 Little known, but multi-award winning application PhotoLab rivals or even beats Photoshop for its precision editing capabilities and correction tools. PhotoLab includes optical corrections, and industry-leading denoising technology freeing you up to shoot at night, in low-light conditions, or with high ISO values, and still end up with a sweet looking image. Everything from optical correction to selections can be switched from automatic to manual. If you’re someone who values complete control over the tiniest details in your images, then you’ll want to check out PhotoLab. Pixlr is always on the top of any list of free Photoshop alternatives, but the old Pixlr has been deprecated (owing to the fact that it was built with Adobe Flash). New for 2019 is Pixlr X, a next generation photo editor that works in the browser, enabling photo editing in the same carefully designed interface on any device. And because it works in the browser, it’s compatible with Mac, Windows, & Linux. 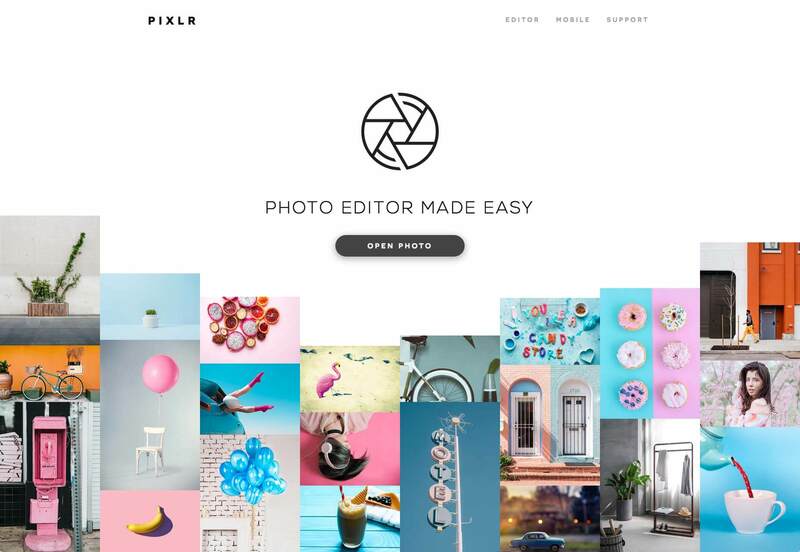 Pixlr X has tons of features that are great for bloggers, and marketers. You can even edit photos directly within Dropbox. Professional photographers used to tools like PhotoLab may find it a little lacking, but if you just need to make some fast edits, it’s an app to keep bookmarked. One of the most innovative applications on this list is Figma. Figma is less of an image editor than a design application, but if Sketch qualifies, then so does Figma. 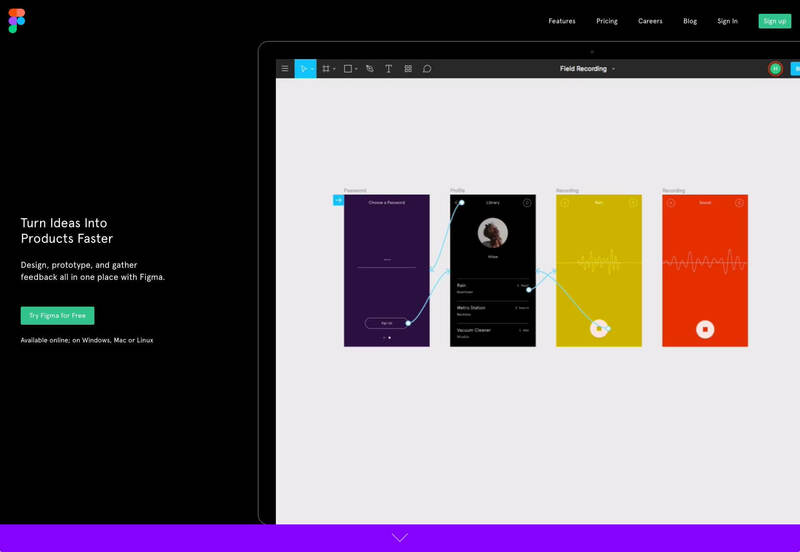 Figma offers pro UI design just like Sketch, but Figma also provides prototyping and collaborative design. There’s a free plan, but if you want to collaborate with more than one other person, then you need the Professional subscription. All design work takes place in the browser instead of a desktop app, and you can see the other person’s input playing out live on screen. If you’re looking for a Photoshop alternative that improves your workflow with others, you’ll find Figma to be a great choice. One of the newest tools on the market, Pixelmator Pro is one of the most feature-rich apps on this list. Layer-based, and non-destructive, it’s a really easy app to get creative with. If you’ve built up a large collection of Photoshop brushes or actions over the years, then Pixelmator Pro might be the app you’re looking for because it comes pre-installed with lots of brushes, textures, and effects. Pixelmator Pro is still in the early stages of its lifecycle, but it already looks like a mature application. It’s even found space for machine learning and touch bar support, to make your image editing more intuitive. PHOTO-PAINT is the photo editing component in Corel’s CorelDRAW Graphics Suite. It’s one of the more expensive options on this list. 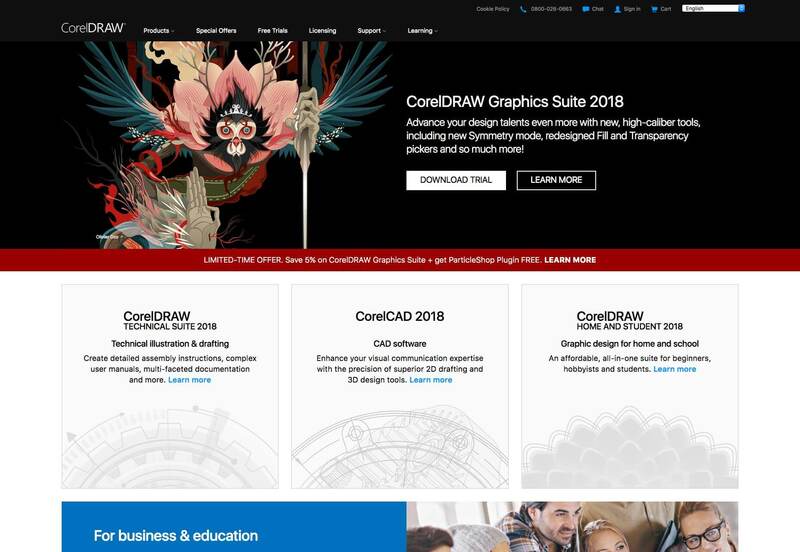 You also get a whole lot more than just a photo editor, CorelDRAW is less an alternative to Photoshop than to the whole of Adobe Creative Cloud. It’s a big investment, but there’s a free trial if you’d like to try before you buy. PHOTO-PAINT is one of the few professional options that is only available on Windows, and it’s ideal for anyone that is looking a premium alternative to Photoshop, and doesn’t work on Mac. One of the tools most commonly recommended as a direct replacement for Photoshop is Krita. Its UI is very similar to Photoshop’s, with a familiar set of tools. If you’re trying to ween yourself off Photoshop, Krita is an smart alternative. 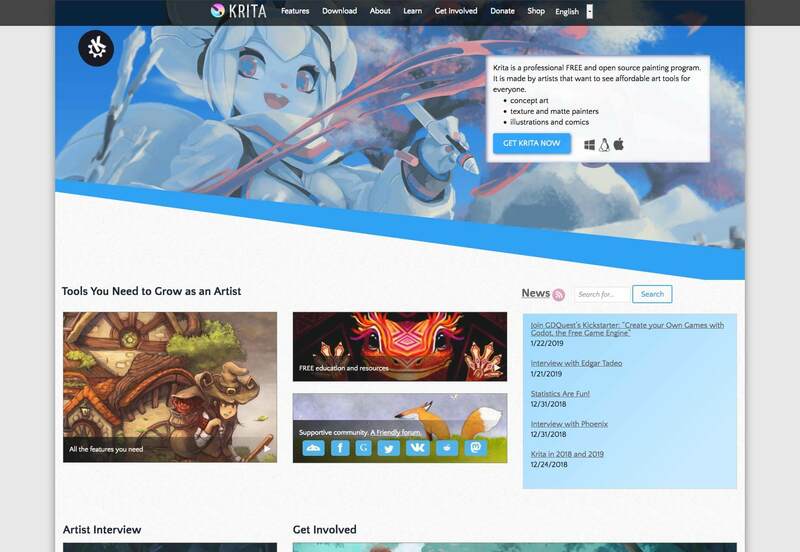 Where Krita beats other free apps is with support for drawing tablets. If you treat Photoshop as a digital canvas for creating original artwork, then Krita could be the replacement you’re looking for. It even supports the WEBP format, making it a serious contender for web designers too. 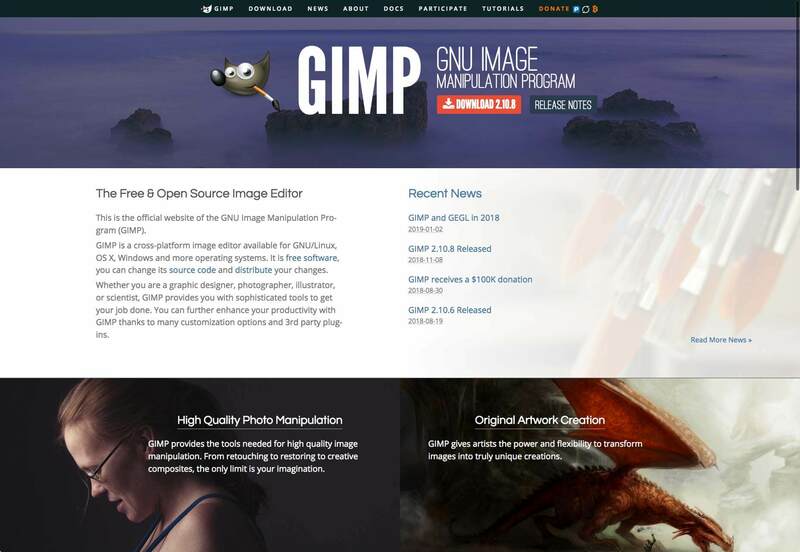 GIMP (which stands for GNU Image Manipulation Program) is a free, image editor. Using GIMP feels like using a version of Photoshop from 15 years ago. Compared to some of the apps on this list there’s a lot of functionality missing, but GIMP is open source, so if you can code you can add any feature you want. If you’re thinking of allocating your budget to something like Sketch or Pixelmator Pro, but you still need a good photo editing application, then GIMP could be the answer you’re looking for. 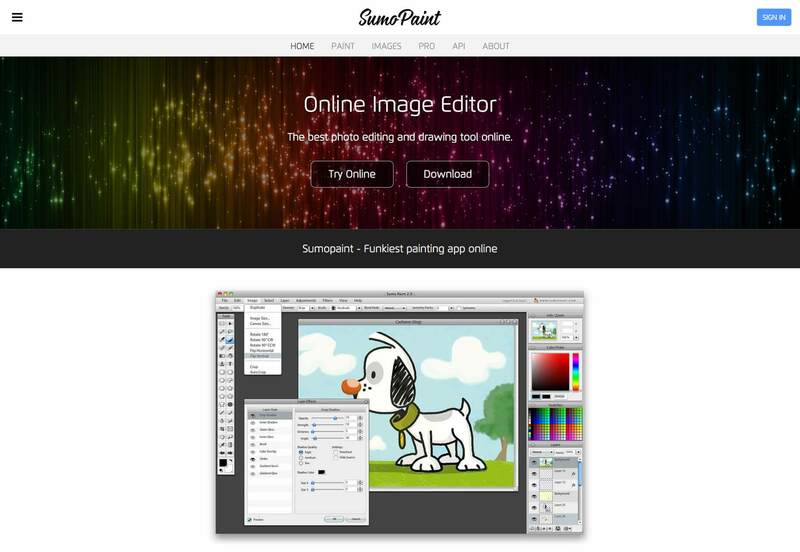 If you’re new to the world of image editing, then you may never have tried Photoshop, in which case, an app like SumoPaint is just perfect for you. SumoPaint is a popular, free app, that boasts over 30 million users worldwide and was selected by Google’s edu platform as a featured application for Chrome Books. The UI is very similar to older versions of Photoshop, so it’s a great tool for getting into photo editing.